Rachel takes the same train every morning, and every morning she passes by the same couple, whom she has dubbed Jess and Jason. Then one morning she witnesses something shocking, and her world is turned upside down as she learns who Jess and Jason really are, and becomes intimately involved in their lives. This was just a good read. Fast, compelling, with a mystery that was actually a mystery (although one that became predictable), and definitely a thriller. 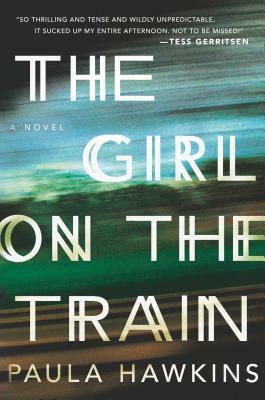 They keep comparing this book to Gone Girl, but I thought that the characters were more likable than the characters of Gone Girl. The characters in this book are definitely human, very definitely fallible, and act like I felt they should have, given their personalities. Sometimes the story dragged on a bit, but obviously not so much that I couldn’t continue reading. 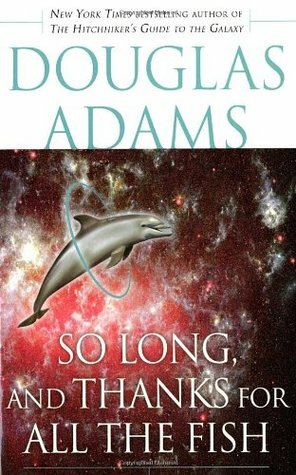 I, however, didn’t find too many criticisms I had of this book, although there were plenty on GoodReads. I felt, though, that considering the subject matter and the flaws that the characters had that it was very believable, so what you’re not going to like is going to be very subjective based on what you want from a story. I thought it was solid read, so I would definitely recommend this book, unless you hate darker stories. But don’t judge it based on the comparison to Gone Girl, because other than sharing a gritty tone, it’s not very alike. In a quaint New Hampshire town a small business owner is murdered. Sigh. This is one of those rare times where I just could not find anything to redeem this for me. I mean really. I very rarely decide that I just can’t finish a book. But this book was one of those. It was annoying, and boring and stuffy. The main character was snooty, despite the fact that we were supposed to think otherwise. The writing was lackluster, and this mystery didn’t feel cozy, it just felt. . . stuck. It felt stuck in deep quicksand from which it couldn’t get itself out. But I was all ready to stick it out when a character was described as “retarded”, despite this book’s 2008 publishing date. It was at that time that I put the book down, a kinda “straw that broke the camel’s back” kind of deal. This is not a book I would recommend. There are plenty of people who I’m sure would like it, but as someone who was brought into the world of mystery through the Queen of Mysteries herself, Agatha Christie, this just was not up to snuff. Not even a pale comparison. A grisly murder is found on Christmas day in Boston, and Detective Jane Rizzoli and Dr. Maura Isles are once again confronted by murder, and their nemesis, Joyce O’Donnell. 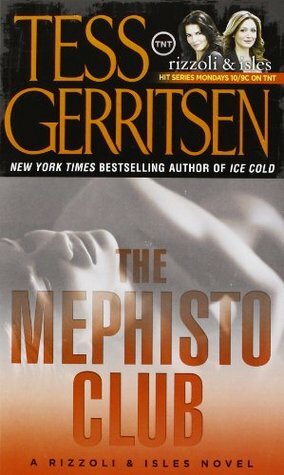 Could it be connected to demons as the the members of The Mephisto Foundation would have them believe. Or is it just old fashioned, cold blooded, murder. So in the time that I was on hiatus from the blog I discovered Tess Gerritsen, and I love every book she’s written in this series. I’m not a big lover of thrillers, but Tess Gerritsen’s books will grab you and not let you go until you’re done with them, and this book is no exception. Unlike some of her previous books, this book definitely moved a little slower than her previous books. However, it definitely did not lag in quality, like some other long series do, so I didn’t necessarily consider this a big drawback. It just made it possible to put down and cook dinner, or fold some clothes. If you like thrillers, murder mysteries, or just a really great read then pick this book up. It won’t disappoint.